We are looking for a Shop Assistant to join our team. The ideal candidate is friendly, energetic, organized, and creative, loves flowers and is great with people. This position works closely with the owner and head designer to ensure the fulfillment of Oak & Lily’s core values of natural beauty, inspiration, and celebration, with the mission to provide unique, quality designs and products that communicate personal sentiments and bring beauty into life and the moments that make it special. 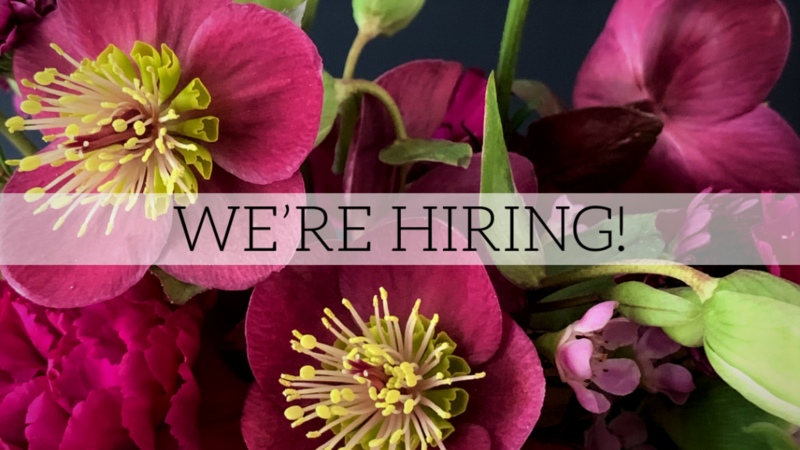 Interested candidates are invited to apply by email to hello@oakandlily.ca with a resume, cover letter telling us what makes them the perfect fit for our team, and a portfolio of (and/or links to) their creative work by Monday, March 18th, 2019. Previous applicants are invited to reapply.